HomeTsetse FAQCatching tsetseWhere is the best site for a trap? 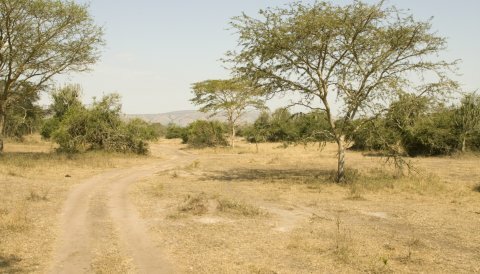 Select an area of tsetse habitat, such as woodland or thicket, and avoid open areas such as fields and open grasslands (vleis, dambos). Within the habitat, select an open site, ideally with paths or linear openings leading to the site that will make the trap clearly visible from a distance. No fallen tree boles within 15 m of the trap.